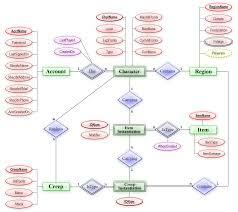 Broad purpose of this lecture is to present Entity Relationship Model. In software engineering, an entity relationship model is a data model for relating the data or information aspects of a business province or its procedure necessities, in an intangible way that lends itself to eventually being implemented in a database such as a relational database. Here also briefly describe Entity Relationship Model design; they are: Entity Sets, Relationship Sets, Design Issues, Mapping Constraints, E-R Diagram, Extended E-R Features, Design of an E-R Database Schema and Reduction of an E-R Schema to Tables.